Shipham is a lovely village on the Mendip hills easily accessible from the A38 and 1.5 miles from Cheddar. The village has a very close and friendly community with many local events throughout the year. There is a local store/butcher, pub/guest house, a cafe and for those who like horses or walking, the village is ideally situated with bridle paths and public footpaths all around. 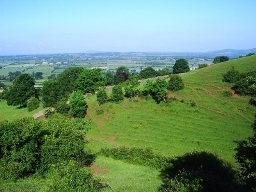 Shipham Hill is one of the highest points in the Mendips at 1,066 feet (325 m). The village has a panorama over Weston-super-Mare and the Bristol Channel which is mentioned in The Secret Places of the Heart by H. G. Wells: But the loveliness of the weather did not fail, and the whole day was set in Severn landscapes. They first saw the great river like a sea with the Welsh mountains hanging in the sky behind as they came over the Mendip crest above Shipham. Click here to search our database of properties for sale and rent in Shipham.